Your Arkansas Family Dude Ranch Vacation Destination! The peaceful quiet of a beautiful Ozark mountain morning is interrupted by the sound of thundering hoof beats as horses gallop through the woods. The wranglers whoop and holler as they push the stock down to the day pen. The last pony is urged into the corral, the gate is pulled shut and another day at H.C.R. and an unforgettable family dude ranch vacation has begun. You’ll forge new friendships with hard working, friendly people and experience the West (with a dash of Southern charm). Your lodgings are comfortable rustic log cabins with wide porches, chairs and views that encourage “settin”. You can cozy up to the fire to warm up or cool off in the outdoor pool in the summer. For those tired muscles you can soak in the hot tub. You won’t go hungry here either, with plenty of good “down home” cooking. You will delight in the freedom of doing a little bit of everything or nothing at all! Your family will join ours at one of the country’s favorite family owned and operated family dude ranch vacation dude ranches. 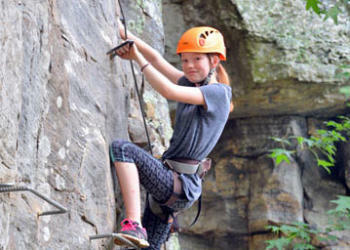 You will experience outdoor activities like horseback riding, rock climbing and one of the best zip lines in the country. Whatever you do (or don’t do!) 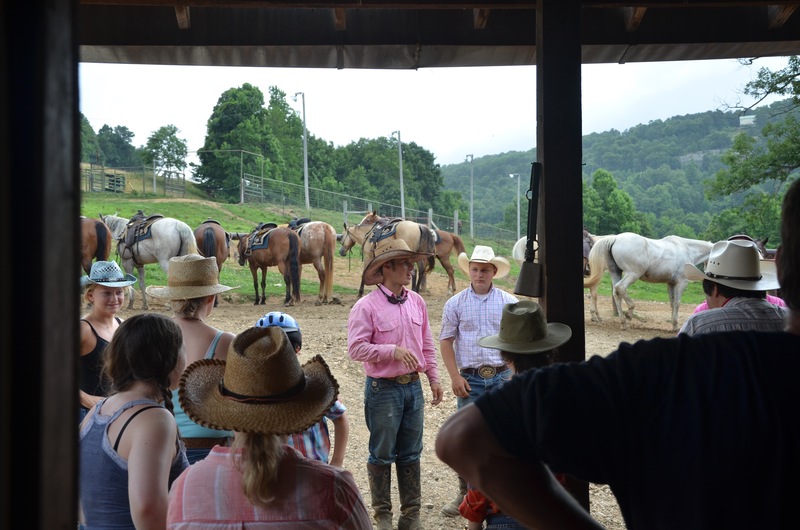 during your visit, you’re sure to leave happier for having experienced the magic of Horseshoe Canyon Dude Ranch – once the Ranch shares her secrets with you, you’ll be forever changed and you will enjoy the finest family dude ranch vacation experience!